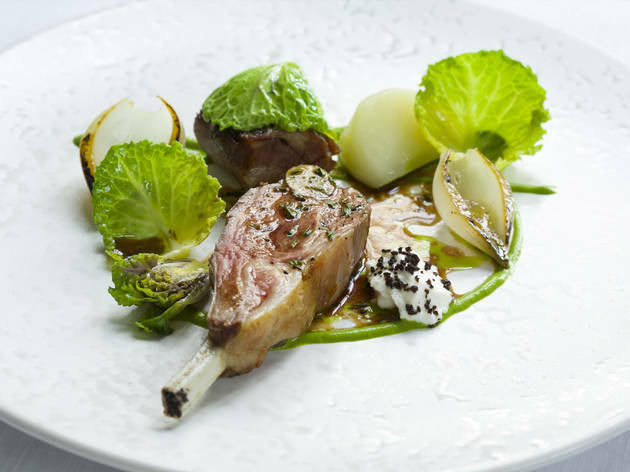 Few haute establishments have the hospitable hum of the Ledbury. Whether it’s due to the off-centre location, the Aussie input, or diners’ sheer delight in securing a table, this former pub remains top-tier for gustatory good times. 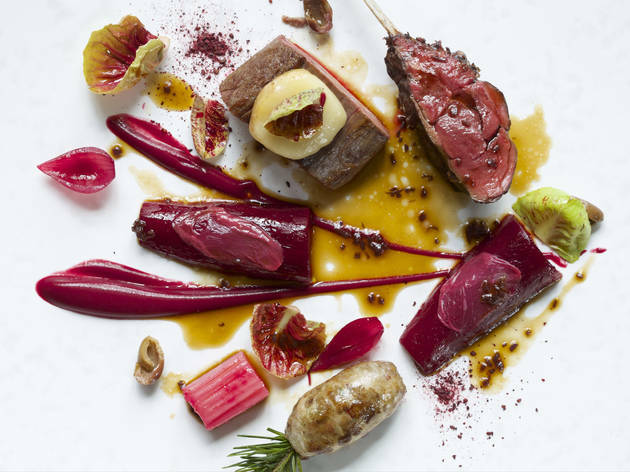 British ingredients – Hampshire buffalo milk curd, smoked eel, Cumbrian lamb – line up alongside delicacies such as Tokyo turnips, Bresse chicken and black truffle, but it’s chef Brett Graham’s clever contemporary treatment of them that sets the place apart. 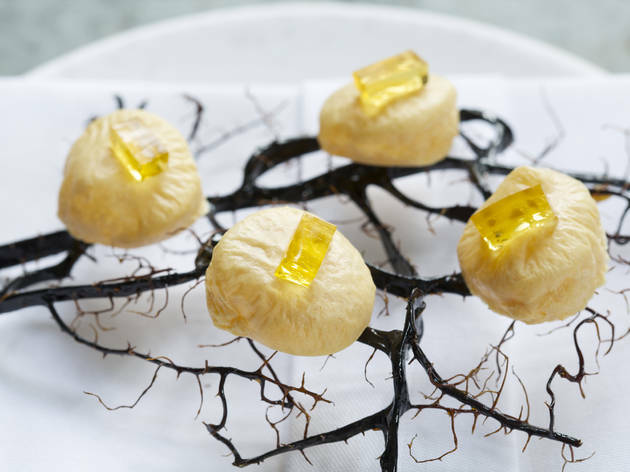 Best go for the set lunch or commit to the mesmerising £105 tasting menu; at £80 for three courses, the carte does not have the other menus’ winning sense of value, particularly if you choose the simpler ingredient-led dishes. A spring plate of creamed Jersey Royals with morels cooked in tea would have been a delightful inclusion in a dégustation, but served as a starter was not sufficiently above mashed potato to justify the outlay, even though the mushrooms were sublime. 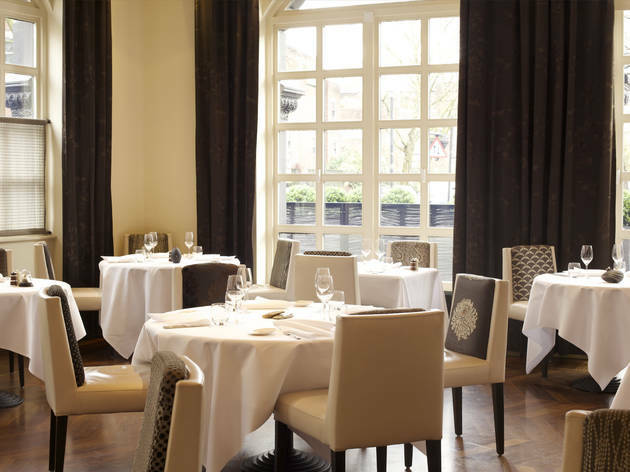 Ledbury signatures, however, are consistently thrilling – particularly the flame-grilled mackerel with pickled cucumber, celtic mustard and shiso; and, well, all the desserts. The wine list is personable with a particularly good choice of sweet wines by the glass, plus great beers from Australia, the US and even Notting Hill. 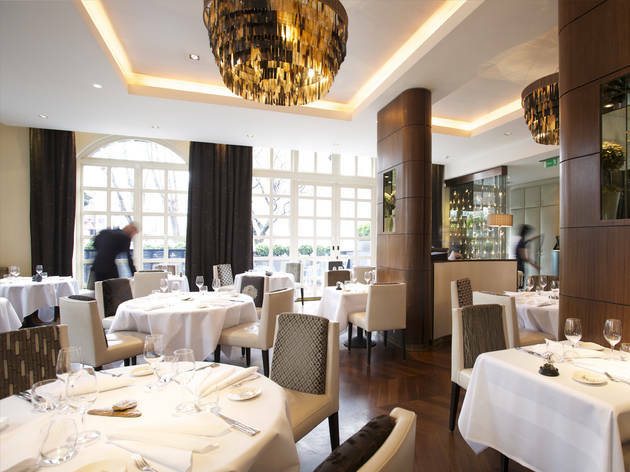 This is one of the best restaurants in london. the food is just magical and so good!! I loved it!! would recommend, its expensive but worth it!! 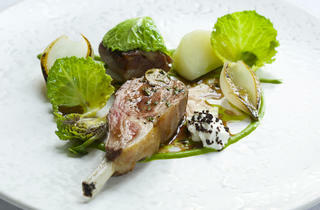 Going to the Ledbury was one of the best dining experiences I've had. I booked three months in advance for a weekend and it was definitely worth the wait and the stress of trying to get through to the restaurant to make the booking. We chose the 6 course tasting menu with a cheese board. You are constantly amazed with each dish that is brought out. They're all so well presented and all the elements go together brilliantly. My favourite part was the meat dish. I let the waiter know about my dietary requirements and he bought me a lamb dish instead of the beef. This was my favourite dish of the whole night. The lamb was perfectly cooked and was a delight to eat with everything on the plate. Yum. Then, the service. It was excellent. They are attentive and can gauge the personalities of a table and will only engage with you if you want them to. Any one of them would be able to tell you anything about the ingredients and dishes on the menu. We were mesmerised by the waiter serving us the cheese and how he would smoothly cut and place your selected cheeses on the board. One of the waiters told us that the menu can change throughout the night depending on ingredients they have and how they usually differ from week to week. If only I could afford to go back every week to try something new! 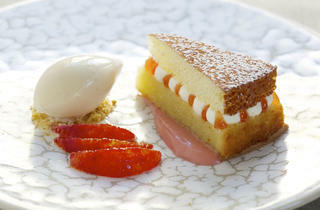 2 Michelin stars and voted number 14 in the world's best restaurants - its not hard to see why. I don't claim to be an expert in Michelin dinning, but you can instantly feel the difference when you go through the doors. Staff are attentive, knowledgeable and considerate. They are there to offer any assistance they can and are not at all pretentious. This place is in such high demand that if you're lucky enough to get a reservation, you might as well go all out and try the tasting menu with the wine pairing. This is what we did and we were not disappointed. Each dish was dressed well and carefully crafted. Some even played with your mind, looking like a something, but being the complete opposite. Regardless, all were well received and I was pleasantly surprised. It's completely wheelchair accessible too so I can't fault them in any way. This is great if you wanted to treat yourself to quality good food. It would be a regular of mine if I could afford it. The souvenir card, which included details of what you had eaten, was a nice touch at the end. 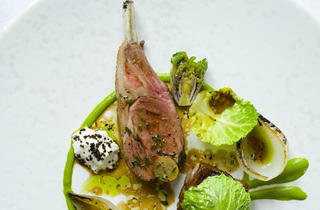 Delicious food and inspiring tasting menu. by far the best restaurant around. all round good service and divine food. michelin agrees i think! It's a hard place to get a booking, but put yourself on the waiting list or get a friend who stays at The Savoy to call and your chances increase. I tried both the week before I wanted it and was successful. And it was worth the trouble. Going for a double birthday, both my dad's and I, it was different and unpretentious cooking with detail given to all dishes and corners of the room, including feng shui table pieces. Between the three of us, we had varying degree of dietary requirements and the staff were on the ball, with a vegetarian menu option and canapés variances, no one had any trouble. We opted for the al a carte menu and asked nicely what they have for a matching wines option. They don't normally do it (only for the tasting menu), as then they'd run around just doing wine service all night, but they did for us and I really believe it elevates the dining experience. A dish or the wine can be taken to a different platform with the accompanying other. 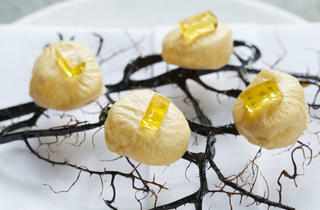 My personal favourite was the Warm Pheasant’s Egg, Celeriac, Arbois and Black Truffle, which just melted in your mouth. And then came dessert. Three of us had to choose out of four desserts, and that's a hard task. As as we made our decision, when they came, the had also brought the fourth dessert out with a happy birthday sign, now that's service. For a special occasion, it's definitely worth the experience and money, with getting quality and value and more. Great atmosphere and the food is always magic; get ready for a hefty bill though if you tuck into the extensive wine list! Best restaurant I've been to London. I think even better than Dinner and deserves its place in the Worlds top 50 restaurants Top 10 list. what makes the ledbury great is not just the food. 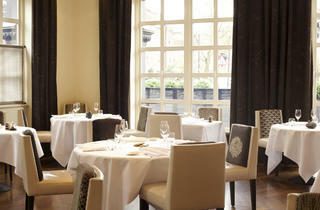 it's good food - done really well and for a restaurant of its calibre, rather unpretentious - and consistently so. it's not chump change and it does take a while to get a reservation (it is just one room after all). 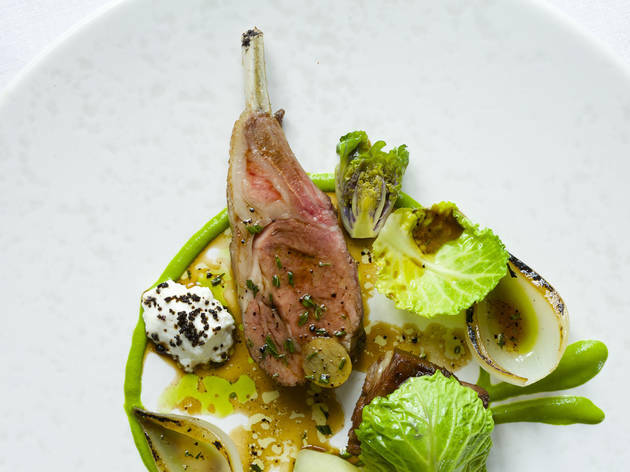 what makes the ledbury great is the dining experience - both the food and the service. it's a neighbourhood restaurant - ok, so a fancy neighbourhood restaurant, but it has all the positive parts of a neighbourhood restaurant. the food is beautifully presented, without being pretentious. the service is friendly without being insincere. i don't go there that often, but compared to other restaurants in the same borough which i frequent every week, i feel so well looked after and special. great value for the experience and the quality of the meal. This restaurant is pretty amazing, i have had other fine dining experiences before but Ledbury definitely served the best in terms of the food. 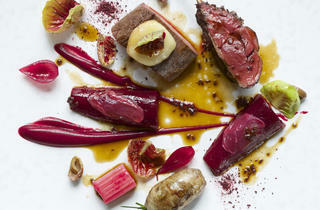 All the food was prepared just like a piece of artwork, not purely based on appearance but the way the food was cooked. In terms of service, it is excellent when compared to other restaurant but it is not perfect when compared against other fine dining restaurant. Nothing is wrong with it but there is room for improvement.